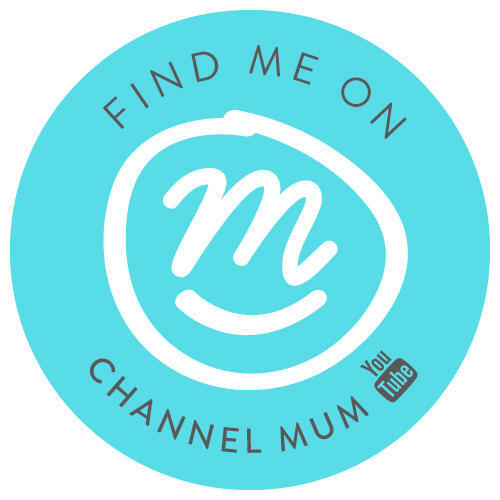 With August now behind us, we are heading full force into September so I have some favourites to share with you! I am constantly trying out new products and have a bad beauty buying habit but hey ho! 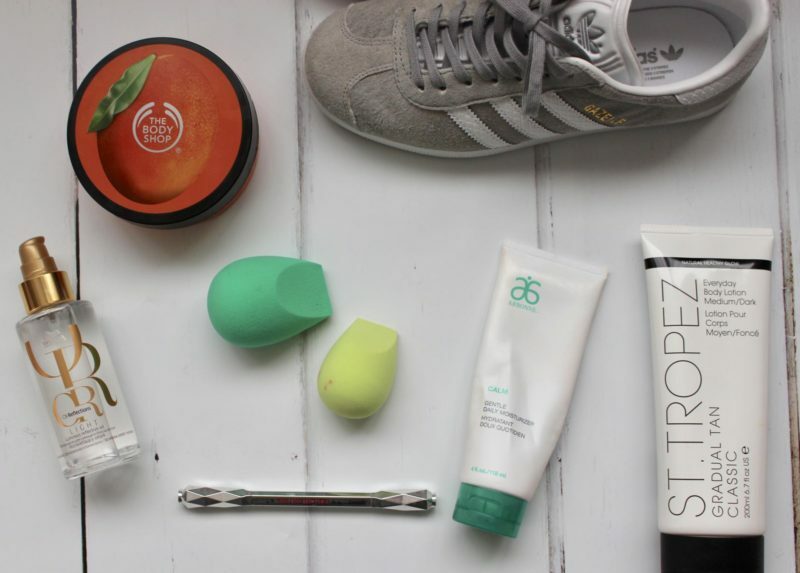 There seems to be a strange moisturiser theme going on in this months favourite’s. Oddly they’re all just products I have tried in the last couple of months and cannot stop reaching for. 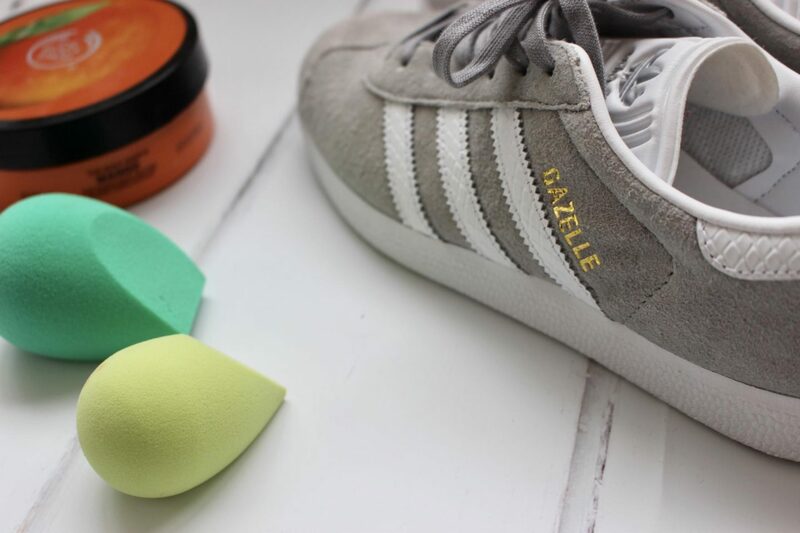 My gorgeous new gazelles – I am so obsessed with these! Super comfy and the look great with just about anything! 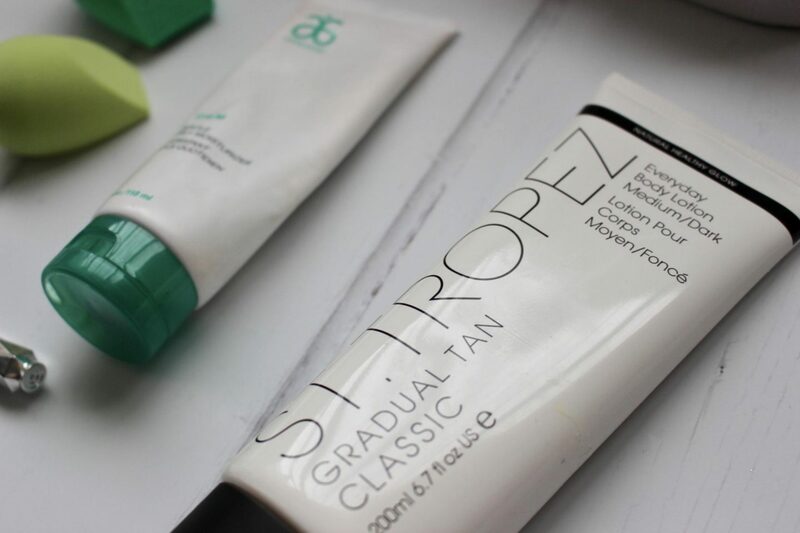 I talked about the St.Tropez gradual tan in a recent post and I am still loving it; it gives me an even looking, natural sun kissed glow! 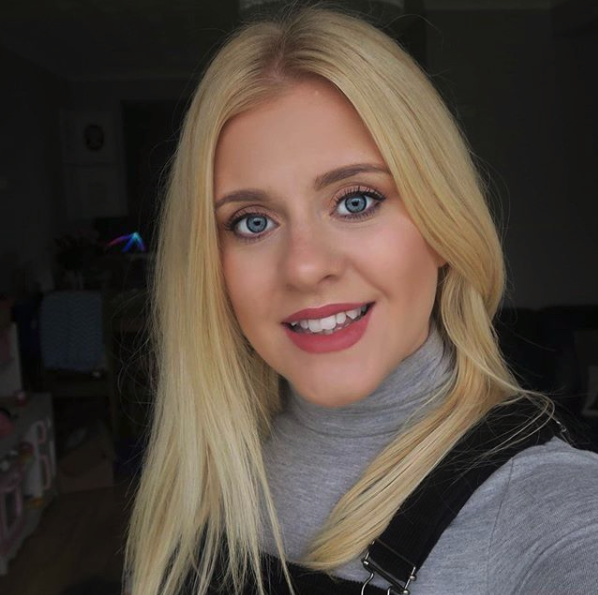 The Wella oil reflections light luminous reflective oil (mouthful) has been amazing for my hair, with sun and sea damage making it feel a little dry of late this has certainly out the much needed moisture back in without weighing it down. Brows brows brows; I often feel as though my brows are my nemesis. 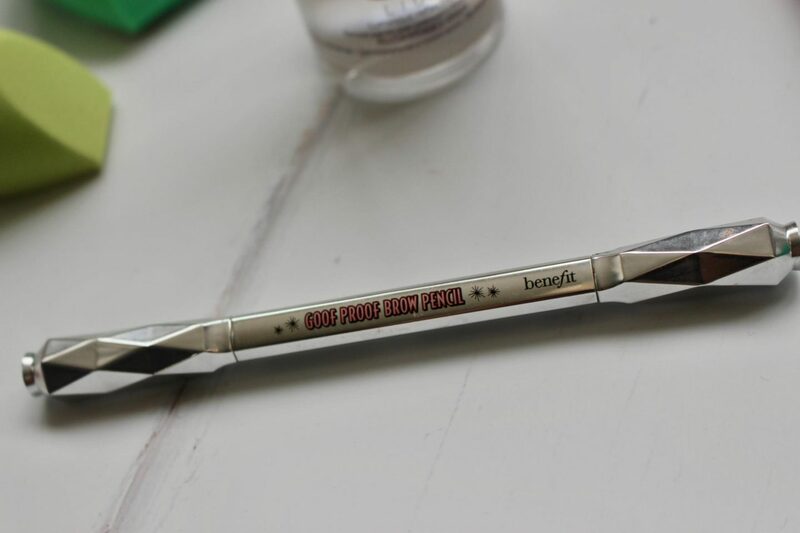 The goof proof brow pencil from benefit is keeping them in check at least until the kids go back to school and I may actually have time to get them waxed and tinted once again! To see all my August favourites check out the video below! Oooh, I’m loving those shoes. Also off to check out the hair oil, my hair is so dry at the moment but everything I try just makes it greasy, this looks like it might be good though! How is it September already…where has this year gone. I love that brow pencil but Iam currently using a tom ford one and it’s amazing but pricy. Oh the hair oil sounds brilliant. I am always looking for something that won’t weigh my hair down.